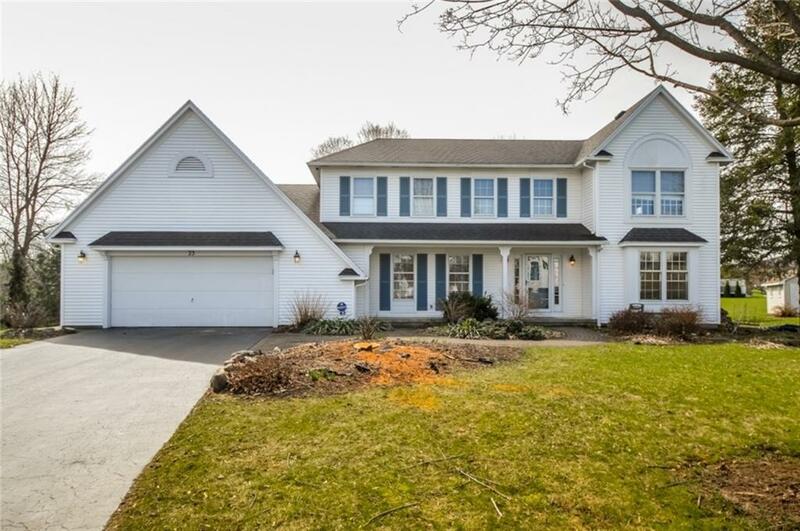 **Open House, Sunday April 28th - 1pm-3pm** Colonial home in friendly neighborhood at the end of a Cul-de-sac. Plenty of room with 4/5 bedrooms and private Master Suite. New rugs and flooring in all the upstairs bedrooms with new paint throughout the home. First floor laundry, office/bedroom along with a formal dining room, family and living room. Large basement has potential for finished space and a large walk-in cedar closet. Fairport schools and Electric.